Our Low-Loss High-Frequency flexible cables are the preferred choice over standard cable types. With improved power handling, low VSWR, and high frequency capabilities, the Low-Loss cables can be made to your specified length and delivered in two days. AH Systems assembles high performance microwave cable that utilizes only the very best materials. With plenty of raw stock on hand, we can create a custom length high precision cable assembly within a few days. The outer jacket is a tough, high temperature thermoplastic that can withstand temperatures from -65° to +200° Celsius. All this adds up to a very superior microwave cable product that can meet the most demanding requirements. A.H. Systems individually calibrates all cable assemblies for impedance, attenuation and VSWR. 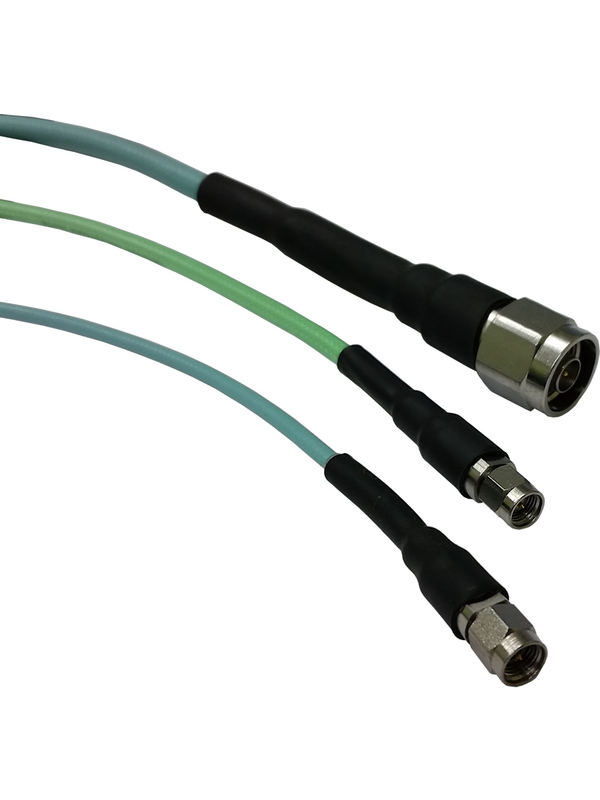 This product line has three different sizes of cable designed to operate from DC- 40 GHz. Please call us and discuss your needs with one of our design engineers. Size O.D. 0.310" 0.220" 0.145"
Min Bend Radius 2.0" 1.0" 0.5"
to calculate the total cable attenuation.